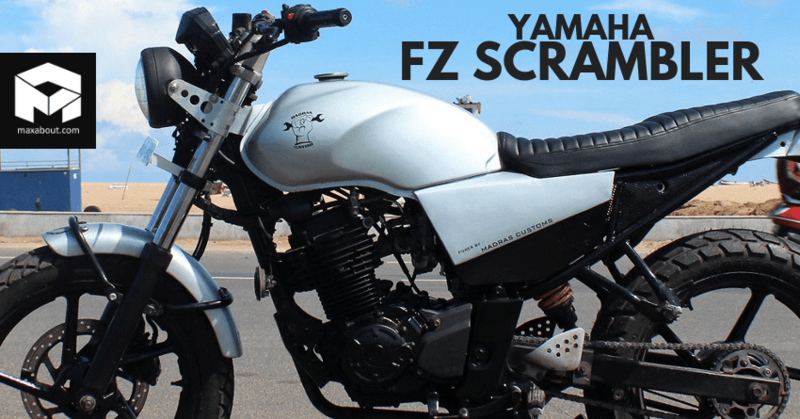 Meet Yamaha FZ Scrambler by Madras Customs: Yamaha FZ16 has served as a base for multiple modifications in past one decade. 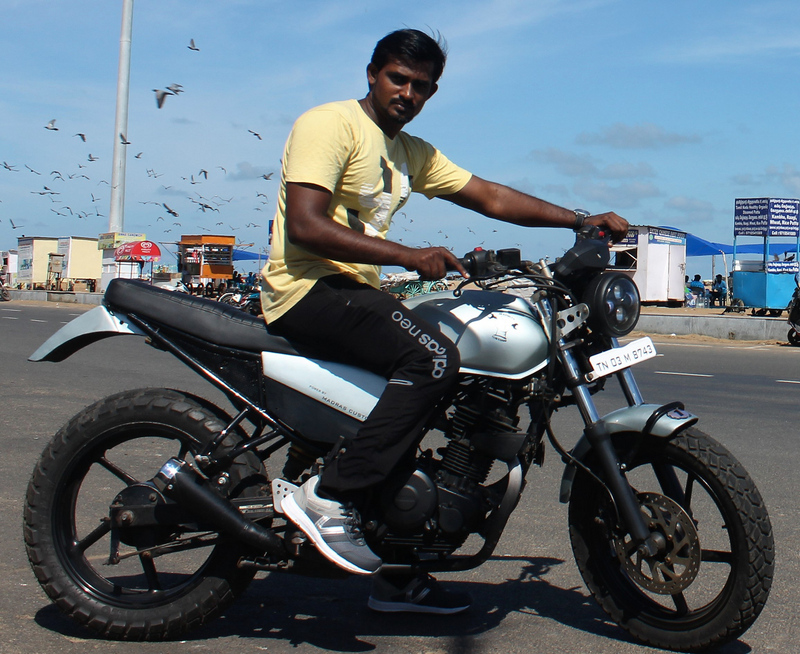 The motorcycle support honest scope for different body types, complemented by the massive front forks at the front and wide rear tire. 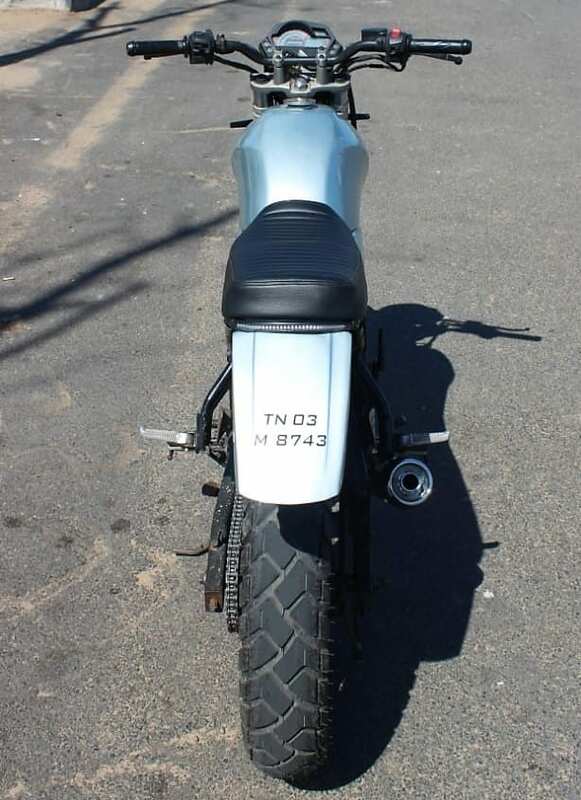 This custom-made motorcycle comes with a ribbed standard seat on the stock frame, looking more like the XSR series seat from international Yamaha lineup. 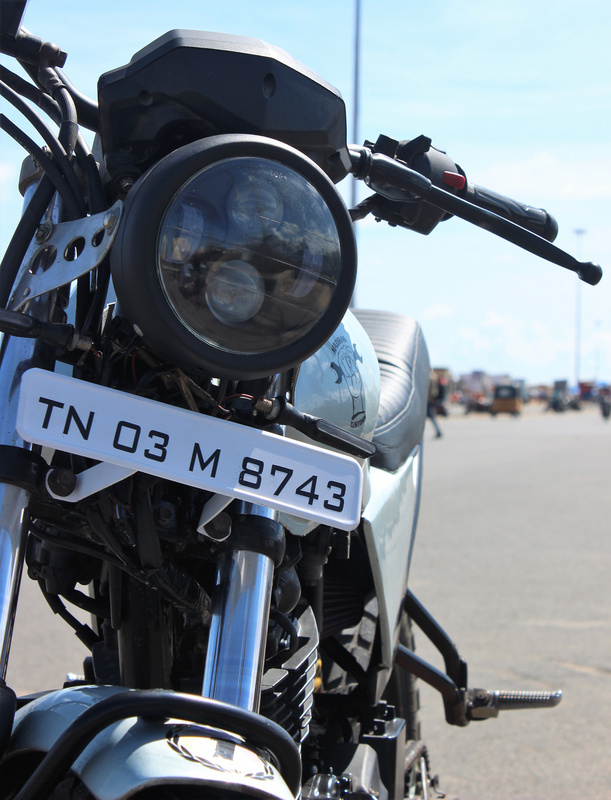 The frame is raised from the rear end, offering a bumpy ride to the pillion as every press on the right lever will result in a sliding movement. The frame comes with LED brake light strip for futuristic feel and a decent amount of safety. 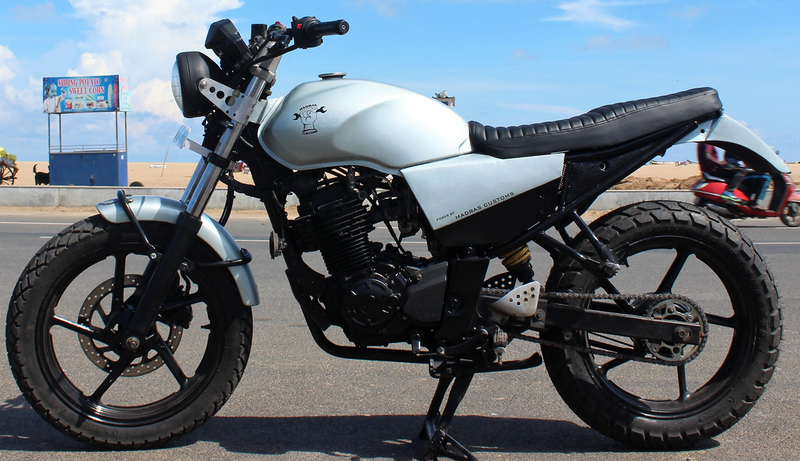 The side panels from the FZ were removed to achieve this clean engine look, further looking great with a custom panel that reads Madras Customs and carries dual tone finish. The fuel tank seems sourced from a commuter while silver finish further raises the potential of the minimalist design language. The front headlight section is replaced with the round class LED headlight while tires at both ends are dual purpose units for maximum traction. The stock exhaust was removed for this free flow black unit with chrome exterior ring. The rear fender is raised to save other riders from the shower of mud. 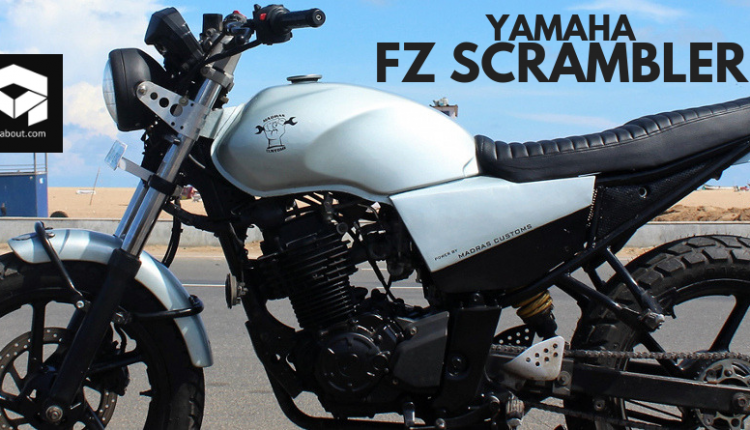 The FZ Scrambler is based on the first generation model, clearly visible from the console and fuel switch on the left side. The brand switched to fuel injection and replaced the unique console with a standard screen with red illumination. The 153cc engine here is good for 13.8 BHP and 13.6 Nm. 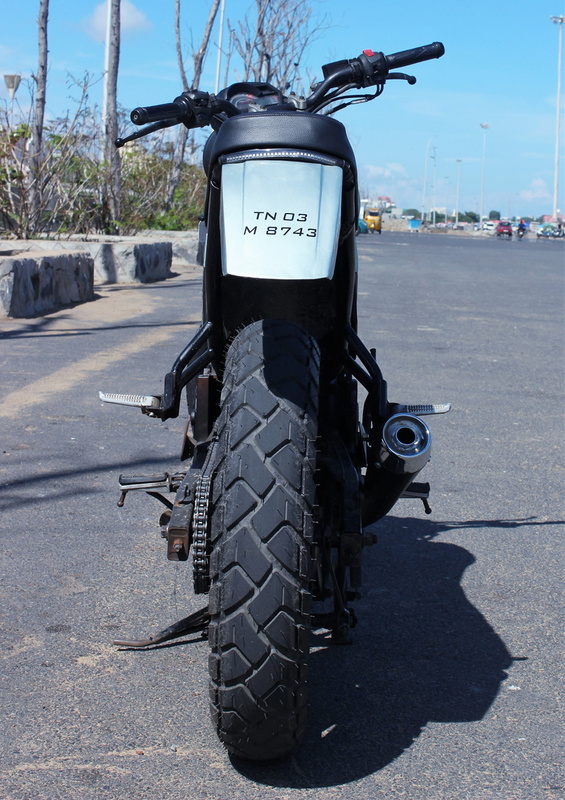 The stock weight was 135 kg but this Scrambler by Madras Customs looks much lighter in comparison. Yamaha is the only brand to bring a reduction in power and torque for the second generation model, just to improve the overall mileage of the motorcycle. However, the reduction in 3 kg of weight compensated the performance loss.